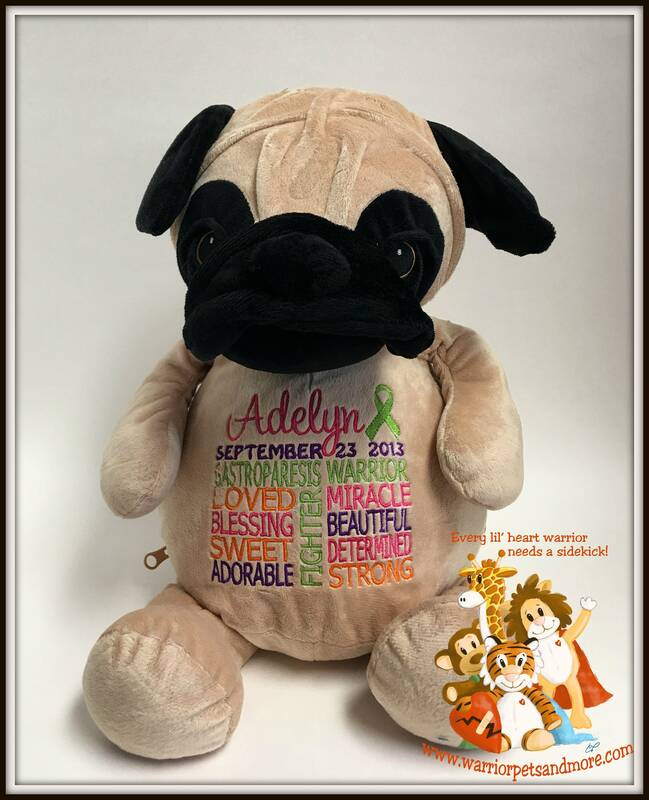 Each pet is personalized with the child's name. Please indicate whether you want the design for a boy or girl. Each Warrior Pet brings a smile to the face of these little children. Makes a great companion for Doctor and Hospital visits. Design can be done on any of the animals seen in my shop. Please be sure to add child's name and date of birth in the comment box when ordering. Please be sure to leave me your preferred contact information, email, facebook, text etc. I will be sending you a picture of the design, prior to stitching, for your approval.